Sh'Lur is a high-population, industrial world with a billion or more sophonts in population size. This world contains a Waystation. 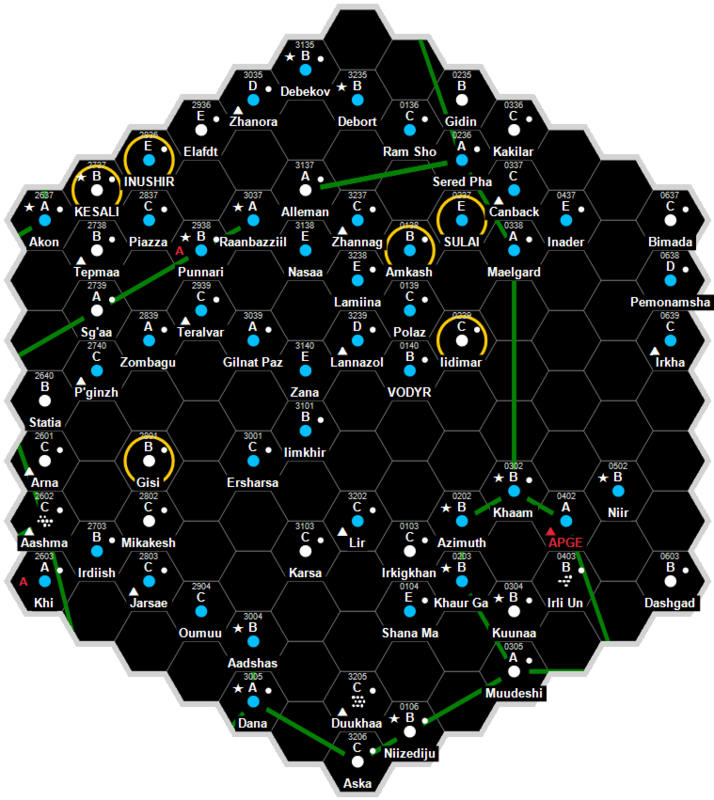 Sh' Lur produces 2352 Resource Units, ('aryu'). Sh' Lur, as a member world of the Third Imperium has a member of the Imperial Nobility overseeing the world. This page was last modified on 1 July 2018, at 20:59.